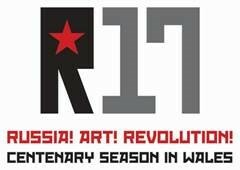 There are a number of cultural events in Wales this autumn reflecting on the centenary of the Russian Revolution and Wales’ historic connections with the era – including a contemporary re-interpretation of the 1917 ballet Parade; a masterclass by Patron Valery Gergiev; and a Welsh National Opera Russian season. Welsh actor / director Michael Sheen and Valery Gergiev, general director and artistic director of the Mariinsky Theatre St. Petersburg are Patrons, and the season features prestigious names such as the world-renowned Welsh National Opera and National Dance Company Wales – in venues from the landmark Wales Millennium Centre to the National Museum of Wales, and St. David’s Hall. Why Wales? In addition to the passion of the Welsh arts community to produce and stage some of the best of Russian culture here next year, there is a strong historic resonance between the revolution and the radical traditions of the South Wales Valleys. Immediate links were forged with the emerging Soviet Union, letters sent from Lenin himself to Valleys miners, the foundations of the first UK Communist Party in the Valleys, and the legacy of ‘Little Moscows’ such as Maerdy, whose socialist sympathies produced several important Communist trade unionists. Russian Revolution – a massive and unique presentation by Welsh National Opera of three major Russian themed works in the same season: Tchaikovsky’s Eugene Onegin, Mussorgsky’s Khovanshchina, and Janáček’s From the House of the Dead. Khovanshchina and From the House of the Dead will be directed by WNO Artistic Director David Pountney and conducted by WNO’s new Music Director Tomáš Hanus. National Dance Company Wales has commissioned a contemporary re-interpretation of the 1917 ballet Parade choreographed by Artistic Director Caroline Finn as part of a large-scale spectacular event, P.A.R.A.D.E. created by eminent artist Marc Rees. The original circus based ballet involved Picasso, Satie & Diaghilev. Music is provided by the BBC National Orchestra of Wales. Marc Rees said: “The premier of Parade in Paris in 1917 was one of the most groundbreaking and revolutionary productions ever staged, therefore when National Dance Company Wales invited me to create an immersive experience for a radical reinterpretation of it as part of R17 how could I resist! The Royal Welsh College of Music & Drama will host a UK exclusive visit by the Stradivarius Ensemble of the Mariinsky Orchestra of St Petersburg’s leading string players together with R17 Patron Valery Gergiev to perform a stunning Russian programme in the College’s intimate Dora Stoutzker Hall in October 2017. The Sherman Theatre will produce a new adaptation of Chekhov’s enduring classic, The Cherry Orchard, by Gary Owen and directed by Rachel O’Riordan. BBC National Orchestra of Wales and Principal Conductor Thomas Søndergård open their 2017-18 season at St David’s Hall with music by Shostakovich, Beethoven and Mosolov.